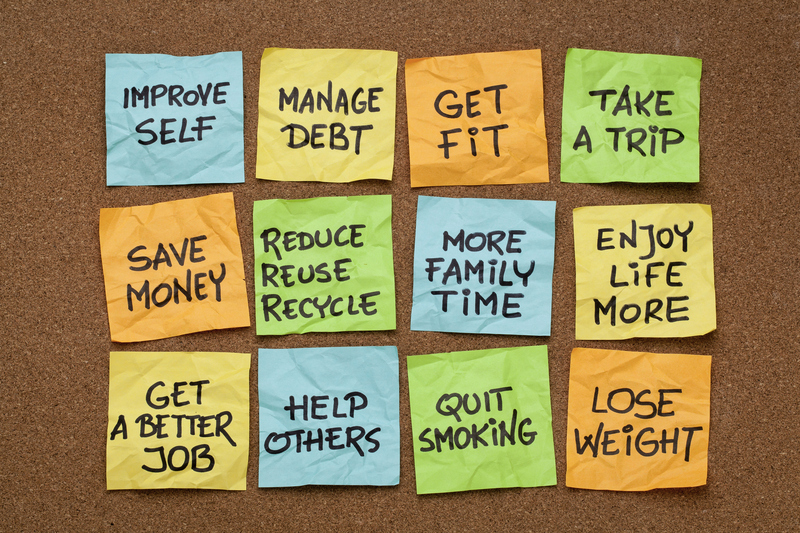 As we ease into the new year, you might have already come up with some personal aspirations and new years resolutions. But have you thought about any environmental goals? 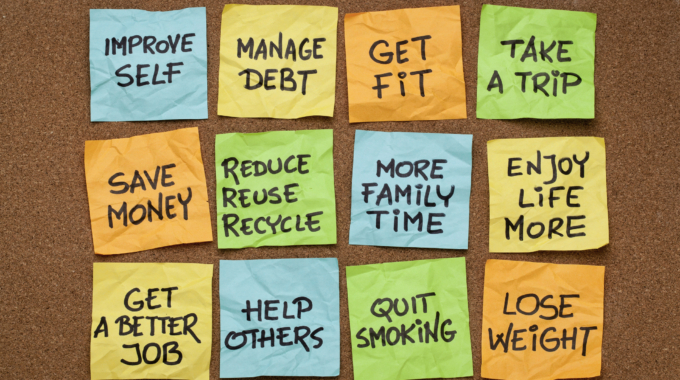 Below are 6 green resolutions that are very easy to follow, all you need is a little bit of time and the head space to change your daily habits ever so slightly! Sick of seeing your old phones lying around but didn’t want to throw them into the bin? 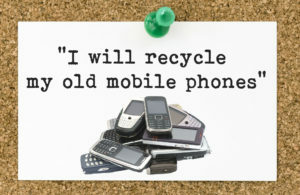 Well you don’t have to…thanks to the MobileMuster programme any old mobile phone, battery and charger can be recycled. All you need to do is take them to a designated drop off location or send them into Mobile Muster. For further information on the recycling programme visit the MobileMuster website. 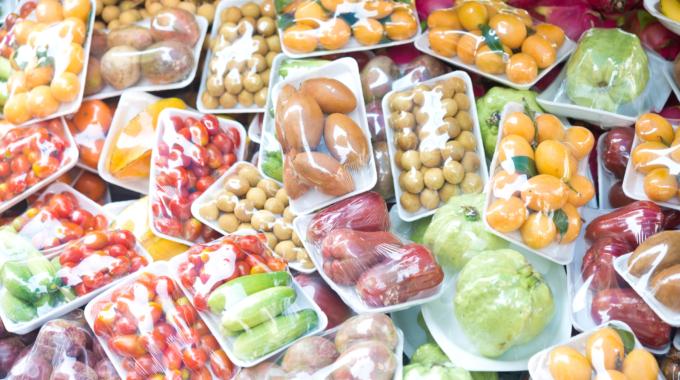 You might already be aware of the REDcycle programme for soft plastics that is available at participating Woolworths and Coles supermarkets (with most metropolitan stores taking part). But what you might not know is that these bins accept much more than just plastic bags. 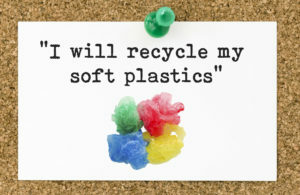 Basically anything that is soft plastic that CAN be scrunched into a ball can be placed into a REDcycle bin. Acceptable items include things like bread bags, biscuit packets, frozen food bags, rice and pasta bags, confectionery packets, and plastic shopping bags. 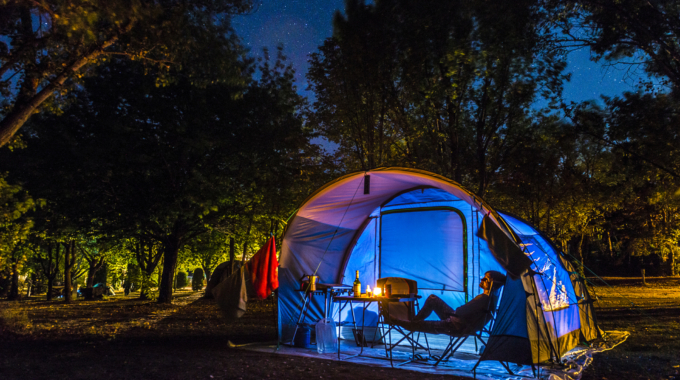 Click here for a full listing of acceptable items. REDcycle collects the soft/scrunchable plastics from the collection bins and transports them to a recycling facility. The empty packaging is then made into new products such as outdoor furniture and signage. Probably the easiest way to start your soft plastics recycling at home is to get a separate tub or use an empty plastic bag to store all the acceptable items and then when full take it down to your supermarket when you do the shopping. How’s that for an easy green resolution!? 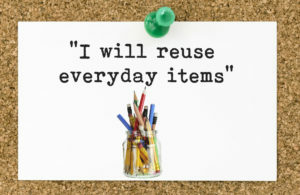 Rather than throwing something straight into the bin (whether it be the general waste or recycling), get into the habit of asking yourself if this item could have a further use. Could you reuse it for something useful or if you are feeling crafty or handy could you re purpose it? 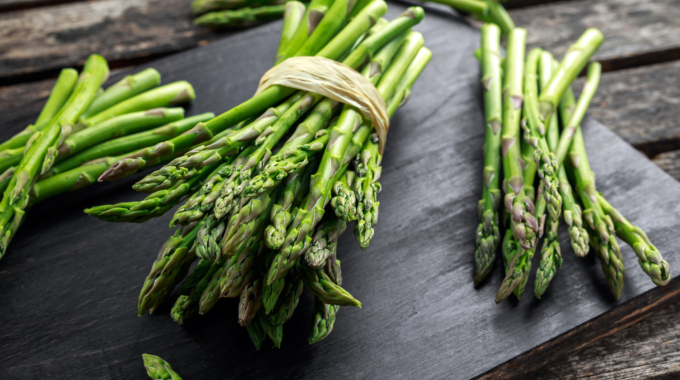 For example, with Glass jars – rinse them out, remove the label and these are perfect for kitchen storage. Take the lids off and they can be an ideal pencil/pen holder. Click here for some more tips on items you may be able to reuse at home. The issue of takeaway coffee cup recyclability (or lack of) has become common knowledge over the past year especially due to the ‘War on Waste’ show. The best thing you can do to help the situation is avoid using disposable coffee cups. 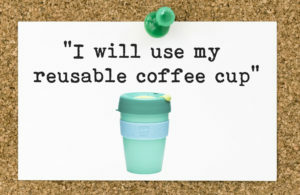 Invest in a reusable coffee such as a KeepCup and remember to take this to the cafe with you! A home compost or worm farm has two benefits – it is a great way to deal with a good amount of your food waste and it helps your garden in the long run by producing a rich soil conditioner that you can feed your garden with. 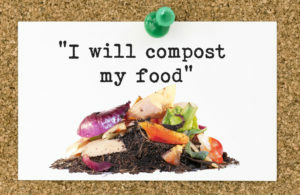 Once you start composting your food you’ll be surprised at how much your landfill waste decreases. While you will find that a lot of your kitchen waste can be composted (along with green waste such as grass clippings and leaves), there are some items that are best kept out of the composter at home. Before you get started, check out this listing. It’s one of those chores that we all put off but the start of the year is a fantastic time to sort through your wardrobe. 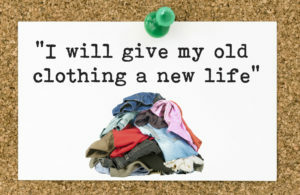 And after you do so, donate to your local charity shop – one persons trash is another persons treasure! You might then get on a roll and start organising the whole house! Most charities will accept clothes, toys, furniture, home wares and electrical items as long as they are in reasonable condition. Anything that is ripped, torn, stained or in need of repair is not sellable though so please bear this in mind. Due to Occupational Health and Safety issues some items such as baby cots, prams and strollers will only be accepted if they have a Standards Australia logo on them. To find out more about what is acceptable go online to your local charity or ask them in store. If you are in the workplace and want to implement some green resolutions or look into some new waste management solutions, click here for some ideas to kick start your year! Or contact us today.